Samsung’s smaller, more affordable new Q9FN QLED TV picks up where its bigger brother left off. John Archer reports. Read our SAMSUNG QE55Q9FN Review. 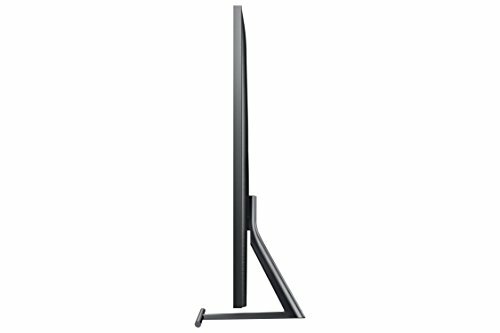 AS WE DISCOVERED in our previous issue, Samsung is well and truly back in the high-end TV game. 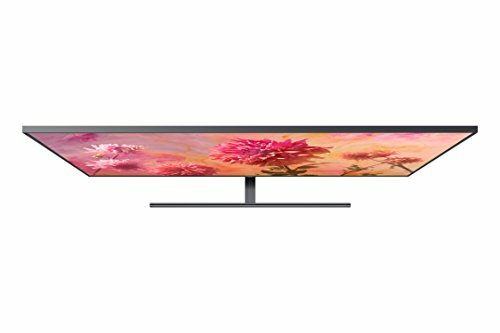 Its QE65Q9FN screen combined a direct LED lighting system (where LEDs sit right behind the screen, not around its edges) with local dimming and the brand’s proprietary ‘QLED’ Quantum Dot technology. This delivered a high dynamic range image worthy of the highest praise. HISENSE H75U9A Review: Let there be light! The Q9FN design actually works better on this 55in set than it did on the 65in version. Here, the well-balanced single-bar stand seems to harmonise more elegantly with the skinny metallic grey bezel. 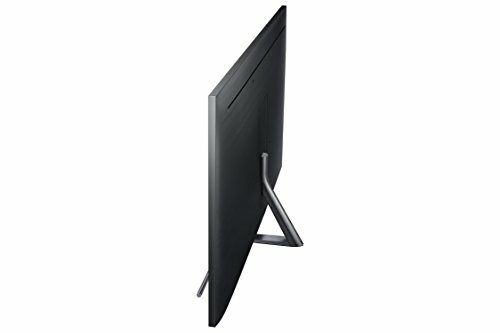 A slender cable provides the screen with both its power and AV feeds (which, when you think about it, is rather clever). It plugs into an external connections box which stores the TV’s tuner, connections and power block. This box is seriously chunky compared with the svelte screen, but hopefully you can tuck it away in a bit of furniture or kit rack. 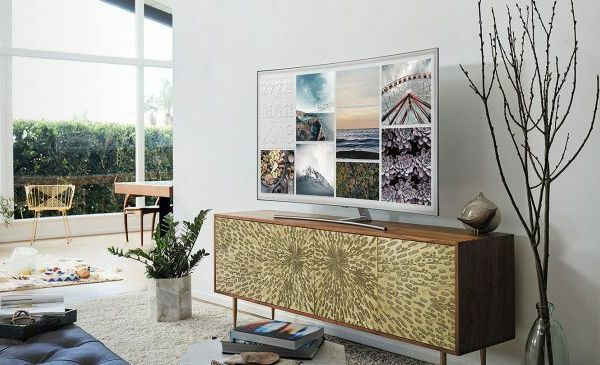 A final nifty aspect of the TV’s design is the way you can display pre-loaded artwork – or your own photographs – on the screen in a low-powered screen­saver mode when you’re not watching it. The QE55Q9FN’s connections include four HDMI 2.0 ports, three USBs and Wi-Fi/Ethernet network options, while connected features are handled by Samsung’s latest smart system. This introduces numerous improvements over last year’s already strong interface, including greater sophistication when it comes to voice control/recognition, and improved integration of the TV tuner into the content browsing system. Available apps include the catchup services of the UK’s main terrestrial broadcasters, and 4K/HDR versions of Netflix, Amazon and YouTube. Plus there’s Smart Things, a new app that lets you monitor and control compatible smart devices and appliances on your network. Unfortunately, I don’t own a connected vacuum cleaner so couldn’t put this to the test. Despite having no visible forward-facing speakers, this screen still produces a rich, powerful, dynamic soundstage that draws you into whatever content you’re watching. It’s not a substitute for a genuine cinema setup, of course, and most of that soundstage appears to lurk behind the screen rather than in front of it. 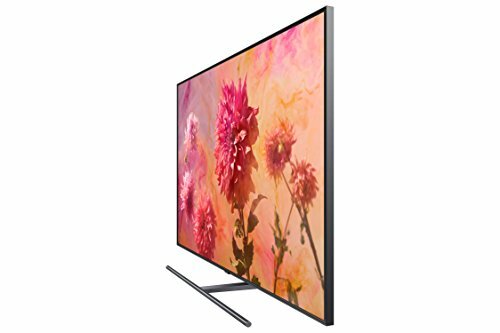 The shift to a direct lighting system with local dimming allows the 55Q9FN to mix Samsung’s signature extreme, HDR brightness with much more satisfying black levels than witnessed from the brand’s 2017 TVs. Watching the sequence in the 4K Blu-ray of It where Patrick Hockstetter searches the sewers, the almost complete darkness that surrounds him looks pretty much as deep and even on this LCD screen as it does on an OLED TV. There’s no greyness over black areas, and when Patrick sparks his cigarette lighter, any hint of tell-tale LED light blooming around it is negligible. At the other end of the light spectrum, the QE55Q9FN, like its larger stablemate, delivers huge amounts of punch. I measured an HDR light output of around 2,200 nits – a very respectable figure, although actually not quite as searing as the 2,400-nit figure of the QE65 model. This equates to spectacular results with the ultra-bright 4K Blu-ray of Mad Max: Fury Road. In everything from the intensity of the sun- bleached desert skies, to reflections cast from the film’s acres of car bodywork and chrome, this TV captures the full light range of this aggressively mastered title. 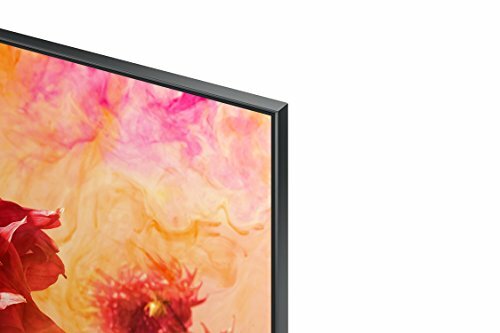 This year’s Samsung QLED TVs use narrower Quantum Dot wavelengths to refine their colour performance compared to 2017’s QLED debutantes. With the It 4K Blu-ray, the almost eerily rich colours of daylight sequences in the town of Derry are fully saturated and wonderfully dynamic. This holds true, moreover, even in the most intensely bright parts of the image; there’s none of the slight bleaching effect you may witness with the brightest colours of an OLED display. Nor is there any intrusive detail and tone ‘clipping’ in areas of peak brightness. Naturally, the QE55Q9FN delivers 4K discs and streams with impressive sharpness. Coupled with the wide colour range, it really sells the benefits of a native 4K screen. This is especially true, strangely, in background areas, helping largescale shots, such as the crowd scenes outside Immortan Joe’s cave in Mad Max: Fury Road, enjoy a phenomenal sense of depth. 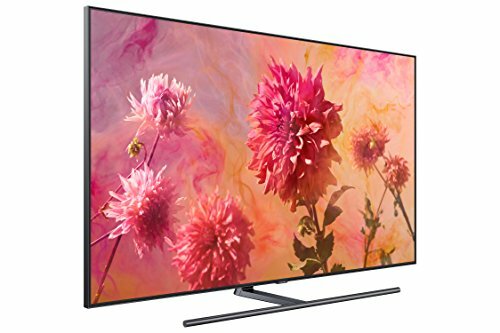 With this TV also doing a fine job of both upconverting HD content to 4K, and providing a strikingly dramatic option for converting standard dynamic range sources to HDR, I’m left with just a handful of picture niggles – and they’re the same ones I discussed when auditioning the 65in version. 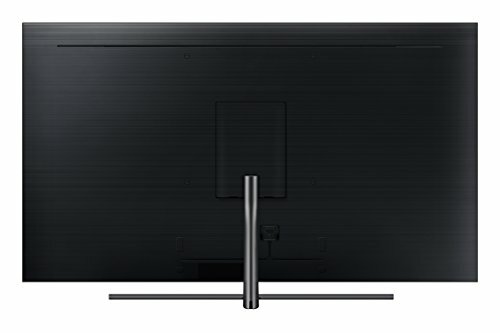 First, the TV doesn’t support the Dolby Vision HDR format, and isn’t going to get support added via firmware. It is, however, compatible with the rival HDR10+ format supported by Amazon Video and, we’re assured, upcoming 20th Century Fox 4K Blu-rays. Second, bright highlights within otherwise extremely dark areas can look a bit dull compared with the same content on an OLED display. 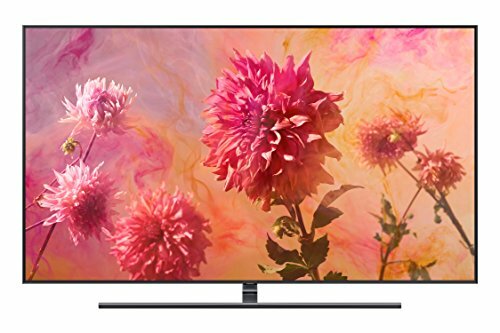 Third, watching the TV from much of an angle causes black levels and colour saturations to wane, and suddenly reveals clear backlight blooming around bright objects – so consider where you will be positioning this TV before investing in it. Finally, Samsung’s motion processing causes some slight digital artefacting, even on its lowest power setting. Personally I’d say switch it off, even though this leaves behind a touch of judder. So, should you buy it? 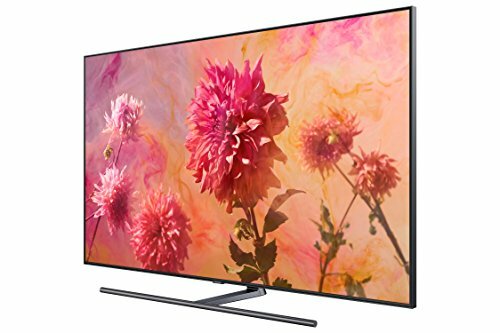 Well, it seems to me that the 65in Q9FN model represents better value than its 55in sibling when considered against its main competition: OLED TVs. And for me the charms of Samsung’s QLED technology deserve to be seen on a bigger screen than 55in. 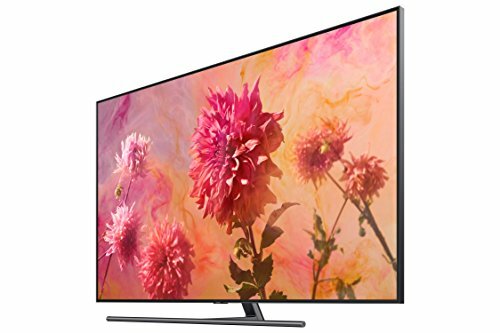 Unprecedented brightness, colour and - by LCD standards - black levels make this a supremely impressive 55in 4K HDR TV. It is expensive, though! 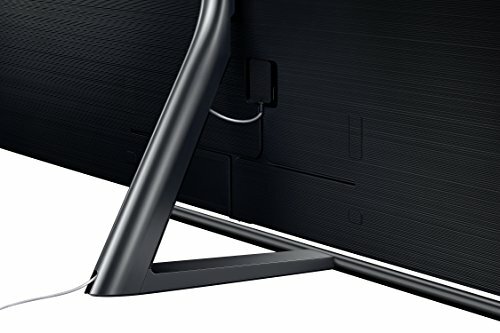 Fresh for 2018 is this Samsung soundbar/subwoofer combi that incorporates a new ‘wedge’ design for improved sonic dispersion, and will hook up wirelessly to the Q9 TV.